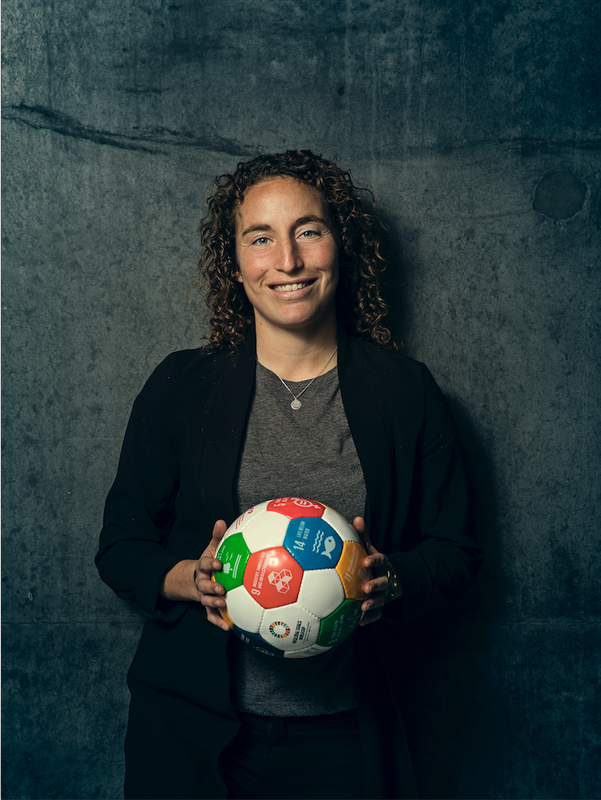 Team Hestia will play for Global Goal 16 - Peace, Justice & Strong Institutions. “Volunteering and solidarity have always been a big part of my life. I have been a volunteer as long as I can remember myself and for everything: animal welfare, the environment and people in need. So when thousands and thousands of refugees started arriving in my country, I couldn't stay home doing nothing. I volunteered in Lesvos island, at the borders in Idomeni and then at the port of Piraeus. After 8 months of volunteering, I got employed from a local NGO. Together we developed a new sector within the organisation to support the refugees and migrants in Athens. Over two and a half years, I designed and managed 19 programmes: from care and maintenance of a refugee camp, to dental care for children, from employability and livelihood to green education...but what really amazed me was the impact of the 8 football programmess we implemented. More than 960 participants, adults and children and of course all of us, the team I was working with, we were able to experience what maybe only sport can provide: the opportunity for organised recreation in a safe environment, empowerment, skills development, social inclusion and integration, life-time friendships and so much more! “We can identify discrimination against women every single day. 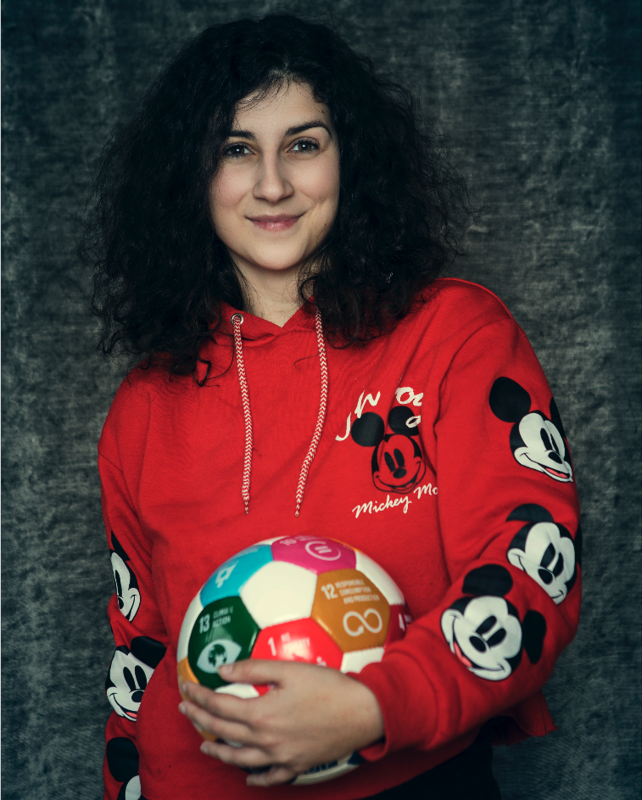 My motivation is to fight against any kind of discrimination as well as to promote the social inclusion and integration of refugee women, and equal access to sport for women. Human rights based rules of a sport can help to replace culturally discriminative norms that exclude women from sport. By bringing people together, building communities and fighting attitudes of xenophobia, negative gender stereotypes and racism, sport has the potential to make an important contribution to the integration of refugees in the EU. Global Goal 16 - peace, justice and strong institutions. In Ancient Greek religion, Hestia is a virgin goddess of the hearth, architecture, and the right ordering of domesticity, the family, the home, and the state. 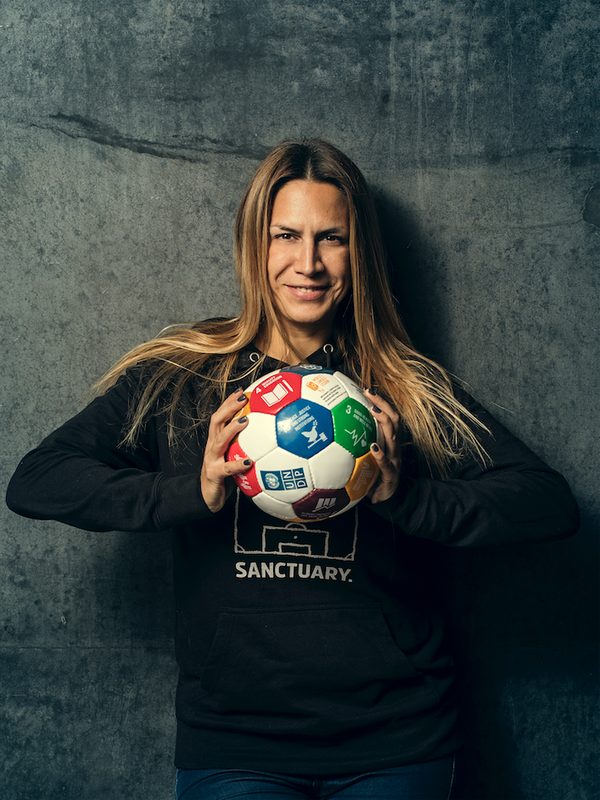 Katerina will implement the project in collaboration with the International Olympic Truce Centre. 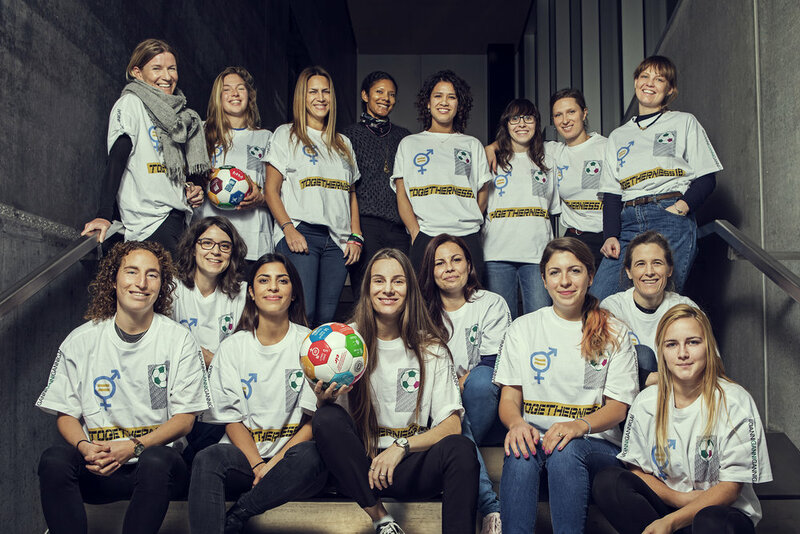 The ALLIANCE FOR GREECE put under the auspices of the new " Home ", the first football club refugee women and migrant women. 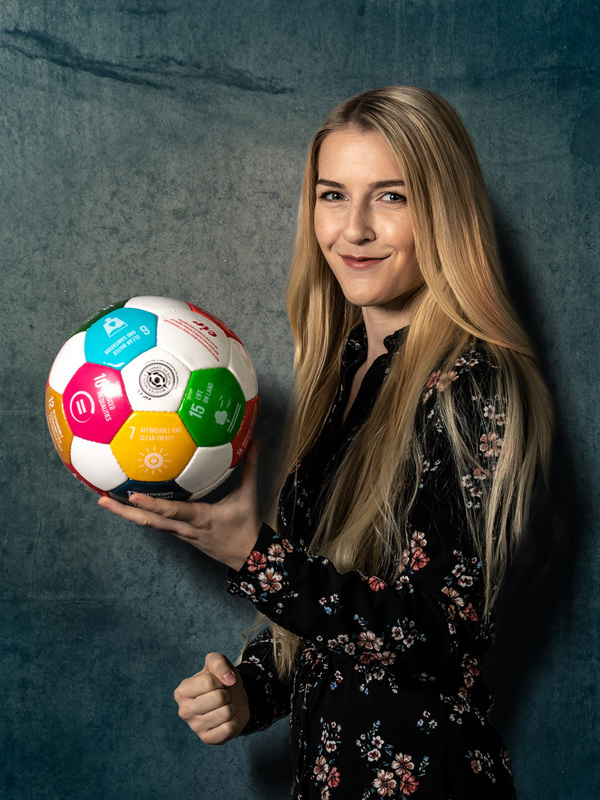 This is a collaboration with Eir international organization which is active worldwide in promoting the Global Goals of the United Nations Sustainable Development through sport. 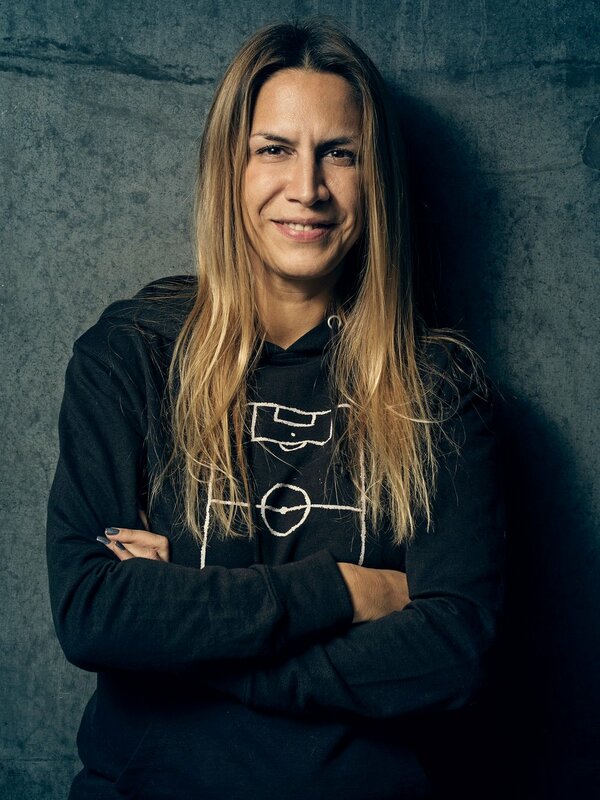 The objective of the program, which is under the auspices of the Municipality of Athens and the Migrants Integration Council is the protection, empowerment and integration of immigrant and refugee women through football. In the future the team will welcome and vulnerable Greeks. 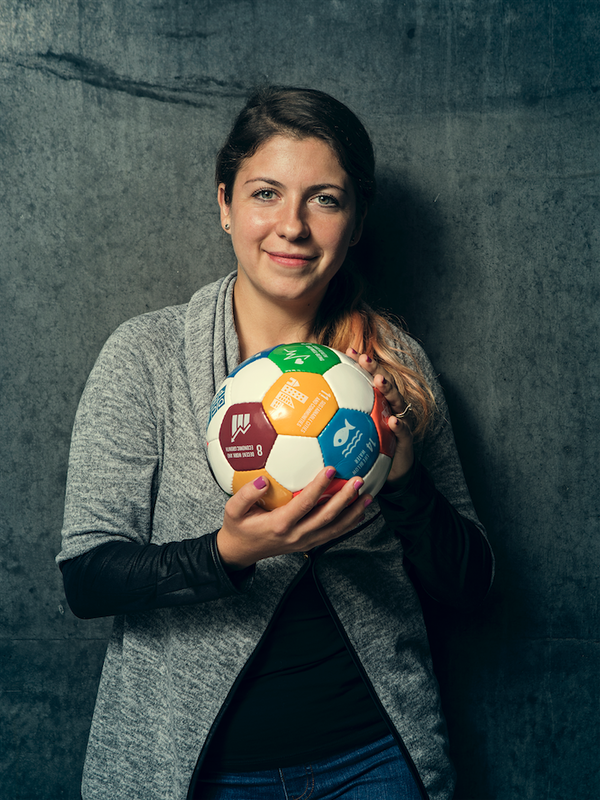 Katerina is the Sport for Protection Program Manager of the International Olympic Truce Centre as well as a freelancer on sport for development projects. 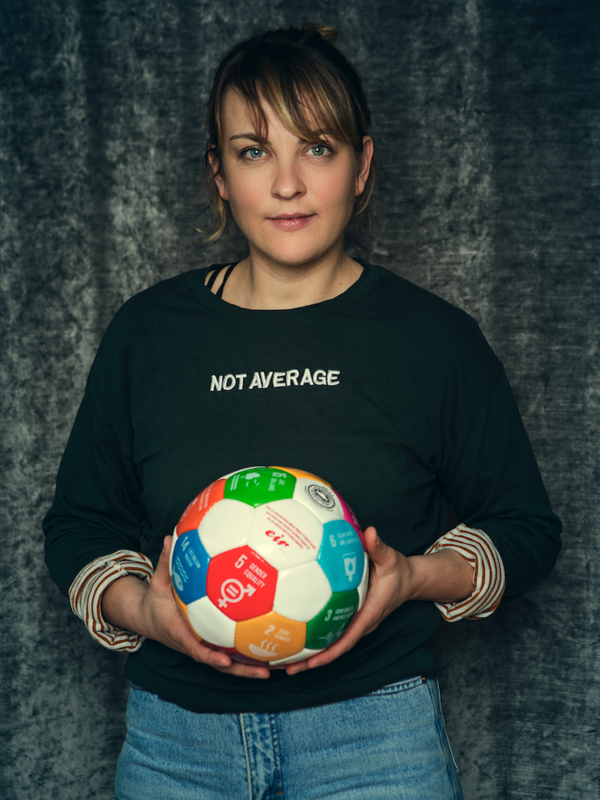 Trainer of Trainers (ToT for Sport Educators - Sport Welcomes Refugees, Erasmus + Sport Program ): Katerina was trained in Rome as a trainer of trainers and implemented a national training to Greek professionals of sport as well as to University students and NGOs workers in September 2018. The "We live together-we do sport together" national training was focused on why local sport clubs should include refugees in their sport programs, what kind of challenges they might face and how they can overpass them, best practices in Europe, legal issues, psychological trauma etc. Football People Weeks: In collaboration with the NGO Faros, Katerina organised a sports day in the island of Lesvos in October 2018. 120 children Greek and refugee children - among them many unaccompanied minors- celebrated #FootballPeopleWeeks. 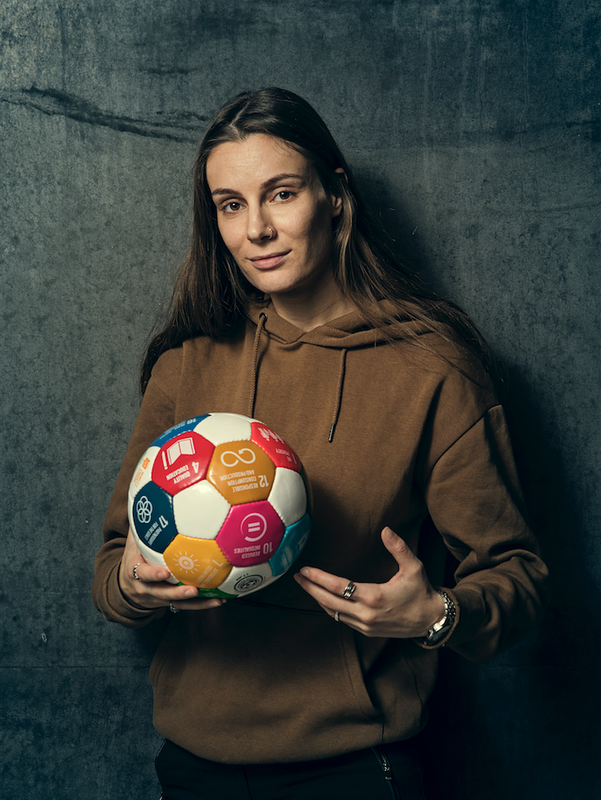 Peace and Sport Award: In October 2018, Peace and Sport awarded Hope Refugee FC, (a program Katerina delivered with Organization Earth) as the Sport Organisation of the Year! 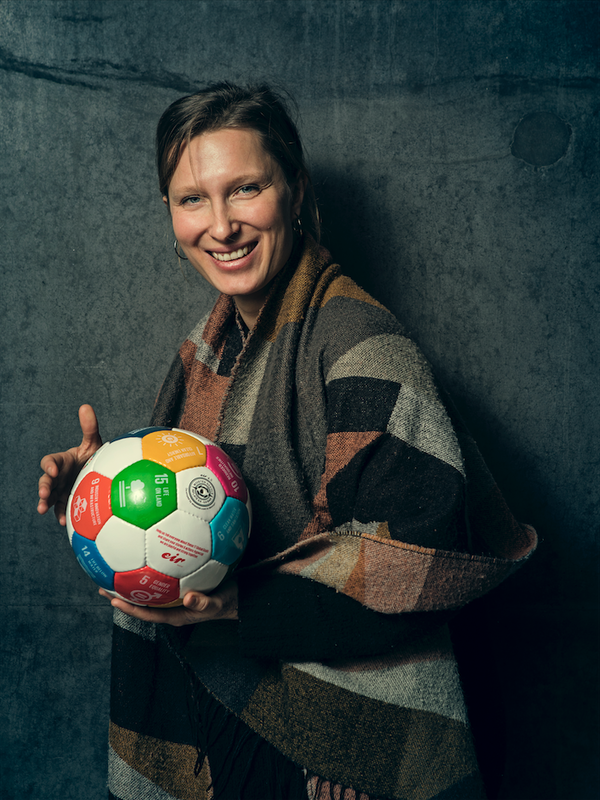 As the former Program Director of a local NGO, Katerina has extensive experience of the SDGs in general. Organization Earth is focused on promoting the SDGs to the Greek public and has translated and published the SDGs in Greek. 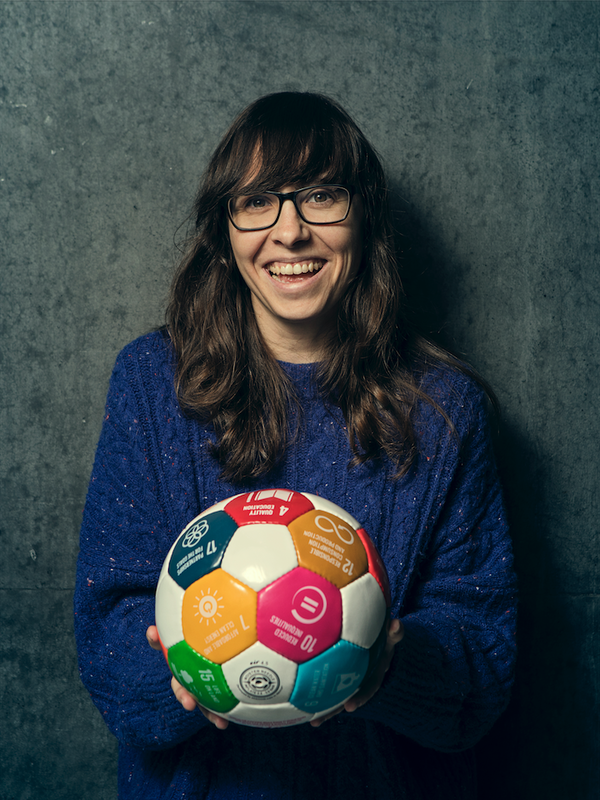 Katerina has participated in numerous SDGs events. During the "Summer Football Camp for Refugee and Migrant Youth", unaccompanied children aged 12-17 y.o. were learning about the SDGs through sport activities once per week. It was a collaboration with Youri Djorkaeff Foundation and UNICEF in summer 2018. 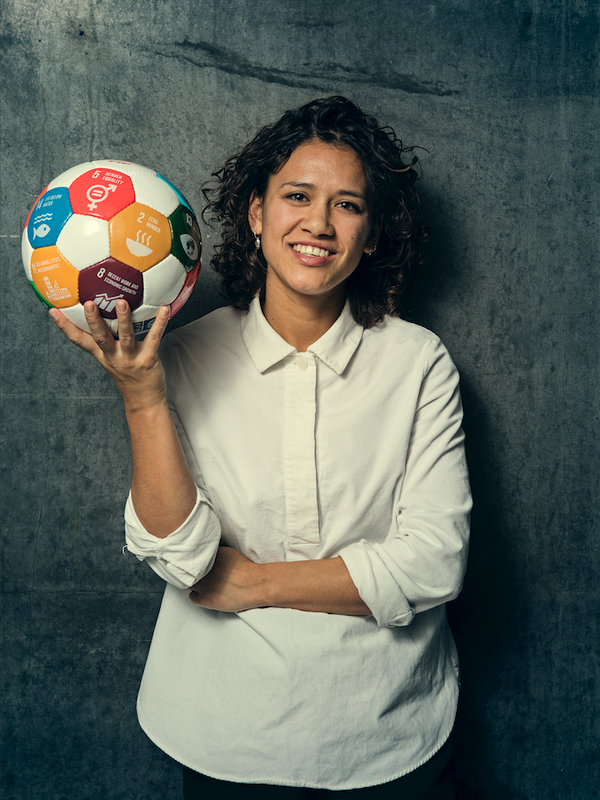 Regarding social issues, Katerina experiences and works on this every single day as she have decided to focus her career and energy on sport for development projects for refugees and asylum seekers.